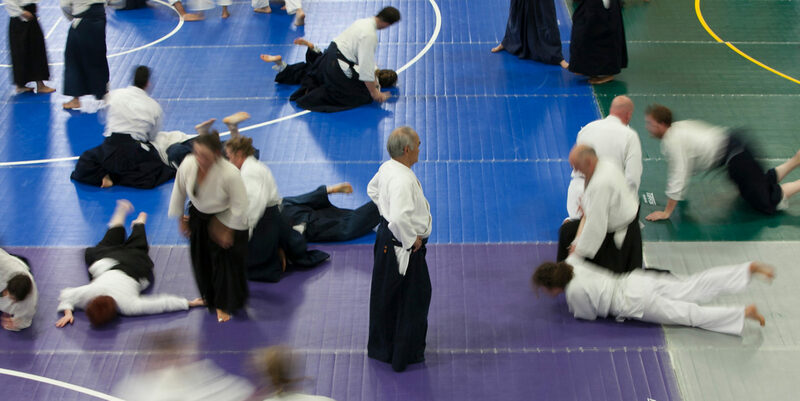 … One might wonder about or get scared at how dangerous Aikido training could be. 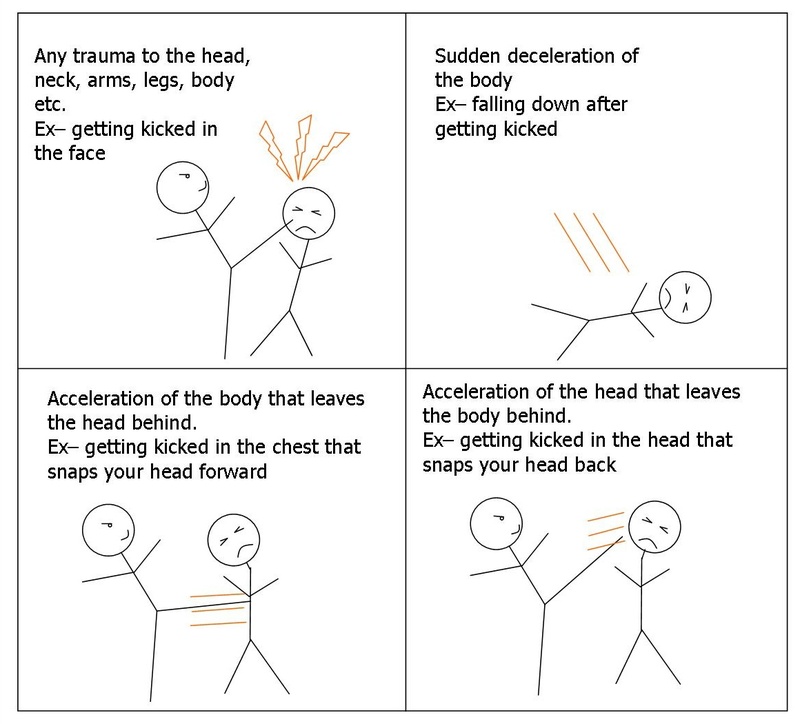 A head injury could happen in Aikido training just like any other martial arts training or sports activity. 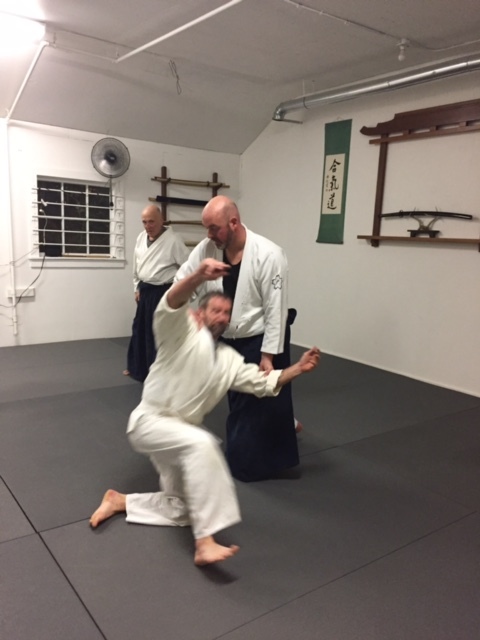 As far as I can remember from my own experience of 38 years in Aikido training, it has happened four times. The first incident was at Hombu Dojo 35 years ago during futaridori (two persons grabbing). The two ukes went down in a pile on top of each other and banged their heads together. The third incident was also in a demonstration, on the occasion of Doshu’s visit to the U.K. The uke became self-blind due to the pressure and mental tension of the occasion, and went down on their head. The fourth incident was last year at my own dojo. A kenshusei landed on her head taking ikkyo ukemi. This particular student had been warned and advised on many occasions about a tendency toward upper body orientation when in motion, but somehow never understood what it meant to be in a serious encounter. The accident happened when a senior kenshusei member, who had just returned from a European tour, carried back with him high energy toward training at his home dojo. None of the above incidents resulted in serious consequences except for the first example. Although they were taken to the hospital right after the incident, one of the students lost his eyesight in the left eye. The rate of injury is, I believe, nothing more than in any other physical activity. 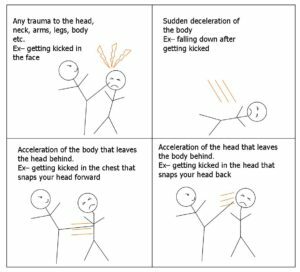 But keeping in mind the potential seriousness of the consequences, students and instructors should gain more first-hand knowledge of how to handle the injuries that occur. This is why [we] have been presenting information about head injuries. As far as preventative measures are concerned, they should include awareness training as well as basic conditioning exercises to develop the muscles of the abdomen which help control the weight of the head when one is falling down. I am planning to give instruction about this more precisely in the future. My name is Mark Goudsblom and I am the Medical Director for Birankai North America. It is a great honor to be able to provide the medical support for our organization. Many of you know me from the first aid table at Summer Camp. I am a member of Aikido Takayama, and have been Birankai North America’s Medical Director since 2014. 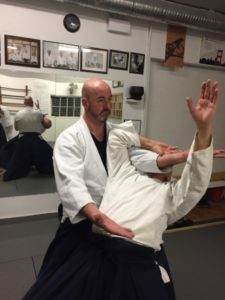 Many Aikido students have expressed a desire for information about injury prevention and treatment. Therefore I am beginning a series of medical articles and will publish them regularly here on Biran Online. I am a Registered Nurse with just over 25 years of experience, predominantly in Critical Care and Emergency Care but I also have my standard first aid, level 1 (its important to understand the basics ). The last decade of my career has been in administrative roles. I have other experiences in supporting the medical needs of large organizations, most recently the 2014 BC Winter Games (an amateur athlete event supporting 2200 young athletes from the ages of 8-19, in British Columbia, Canada). As the co-chair for the medical venues, I was responsible for organizing the first aid response in the sports venues and the medical clinics. In general, our vigorous training is done fairly safely. Insurance companies regard us as low risk in comparison to other sports. However, as all Aikido practitioners know, such vigorous exercise is taxing on the body and from time to time, there are injuries. This new medical series will, over time, attempt to address injuries both large and small, and the many ways to prevent and treat them. If there is a topic that interests you, or if you have found helpful information that you would like to share, please make a comment here, or contact me at mark.goudsblom@me.com. I would like this series to be inclusive of alternative therapies in addition to western sports medicine. I have gotten to know many Aikidoists at previous Summer Camps and have enjoyed supporting the medical venue these last 3 years. Besides this, we’ve done some work on updating our first response guideline and registration requirements at Summer Camp for those with pre-existing medical conditions to make it easier for folks to let us know if they have any health issues before going on the mats. In addition, the Medical Director can write and share valuable medical news, information, or articles that will help chief instructors and many others feel more comfortable around medical concerns, for example in the case of head injuries. My first few posts will concern head injuries and concussions. It is one of the most serious injuries that an Aikido student can sustain. Although rare, concussions can happen on the mat and all practitioners need to know what to do in the event that a head injury occurs. Please take advantage of this blog format and use the comment box for comments and questions. Train safe and see you on the mats. I train under Sensei Charles Aarons, Chief Instructor at Aikido Takayama in Mission, BC, Canada and have cultivated a great love for the art. I hope to meet many of you (on the mat) as I support the Medical Directorate of Birankai North America.